Published: Dec. 9, 2018 at 03:04 p.m. 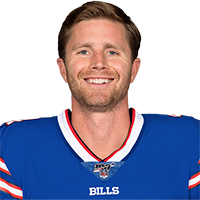 Published: Oct. 7, 2018 at 04:12 p.m.
Buffalo Bills kicker Stephen Hauschka makes a 46-yard field goal to win the game. Published: Oct. 22, 2017 at 04:22 p.m.
Buffalo Bills kicker Steven Hauschka kicks a 30-yard field goal to take the lead in the game. Published: Oct. 1, 2017 at 03:44 p.m.
Watch Buffalo Bills kicker Steven Hauschka nail a 56-yard field goal to take the lead.